Key Difference: In linguistics, an accent depends mostly on pronunciation of specific words or phrases. An accent is the manner in which different people pronounce words differently from each other. A dialect is a variation in the language itself and not only in the pronunciation. Dialect is a type of language that is derived from a primary language. 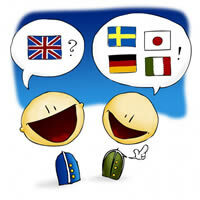 Accent and dialect are two different words that are commonly heard in linguistics. These two words refer to a certain way of speaking a language and are often confused, resulting in being used interchangeably; however both the words have different meanings. Accents are usually considered as a subset of dialects and are gaining popularity due to the increase in international Business Process Outsourcing (BPO) companies. 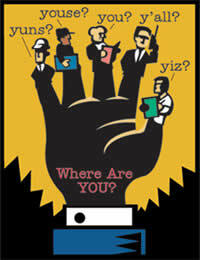 Due to the outsourcing, a lot of people look for people with an American accent to work at such places. In linguistics, an accent depends mostly on pronunciation of specific words or phrases. An accent is the manner in which different people pronounce words differently from each other. Accents differ depending on a particular individual, location, or nation. The accent can also help identify the locality, region, the socio-economic statues, the ethnicity, caste and/or social class of the speaker. All these factors affect the accent of a person. Diversity also plays a huge part in shaping different accents. Accents usually differ in the quality of voice, pronunciation of vowels and consonants, stress, and prosody. For example, the word ‘route’ is pronounced as ‘roote’ in the US, while as ‘raut’ in the UK. Though certain accents, such as American, British or Australian, stand out, almost everyone speaks with a certain kind of accent and accents vary person to person. As accent is just a way of pronouncing or putting stress on certain vowels and consonants, almost every has an accent that differs from another person. Accents are developed as children learn to speak and pronounce words. As human beings spread to the different parts of the world, speaking the same language in different ways forms different types of accents. Accents also refer to the little diacritical marks that are placed on certain words in languages such as Spanish, French, etc. These marks change the pronunciation of the word and it lets people know where to put extra stress when saying the word. A dialect is a variation in the language itself and not only in the pronunciation. Dialect is a type of language that is derived from a primary language. For example, Sanskrit being a primary language, Hindi, Marathi and Gujarati are all considered as dialects of that particular language. It is used to refer to the language that deviates from the original language. The second language differs with regards to grammar, pronunciation, vocabulary, etc. In certain cases, a mix of two languages is also considered as a dialect, such as Spanglish is considered as a dialect of Spanish and English. Sometimes, dialects are used to refer to regional languages that are spoken in a particular place or region. Linguists believe that dialects are usually impure in nature to some extent, due to being borrowed mostly from the parent language. Dialects also include other speech varieties such as jargons, slang, patois, pidgins and argots. There is no set standard in order to distinguish a dialect from a particular language and in many cases linguists refer to dialects as languages, claiming that there is no difference between the two. The term dialect is derived from the ancient Greek word ‘diálektos’ meaning "discourse". This definition is poor and somewhat misleading. It treats dialects as some kind of language by themselves; dialects are not a specific language in any way shape of form but simply derivations of a primary language, so the notion that dialects a a type of language is patently false.